Samuel Chapple (Chaple on Familysearch), was born, and apparently christened, on 20th February 1775 at Crediton, the son of John and Martha. He married Sarah (possibly Matthews) and the couple had at least eight children, some of whom did not survive infancy: John (bpt. 1810); William Matthews (bpt 1812); James Matthews (bpt 1814); Sarah (bpt 1816); Samuel (bpt 1818); Henry (bpt 1820); George (bpt. 1823) and Jane Parhan (bpt 1825). He died aged 58 in 1833 at Ashburton, and was buried on October 3rd. On the centenary of his death the Western Morning News published an item about him, which stated that he had been the parish church organist at Ashburton for most of his life. Born in Crediton in 1775, he had been blind since the age of 10 after an attack of smallpox. His aptitude for music led the ratepayers of Crediton to support his musical education, and he was articled to another former Crediton resident, Mr Eames of Exeter. Mr Eames was himself blind, as his own teacher had been. 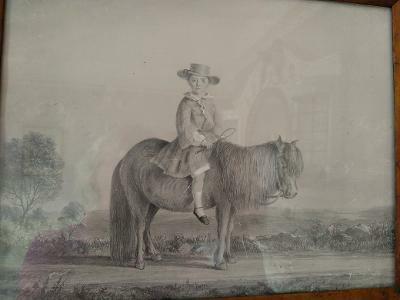 Samuel was appointed organist at Ashburton in 1795, before his articles were finished, and became known for riding around the district on horseback, with a boy as a guide. A teacher of music - he was both a pianist and a violinist - he also published 30 anthems, songs and piano pieces, which brought him fame and, the newspaper speculated, wealth. The account of Samuel's life given John S Sainsbury differs slightly. He says that Samuel became blind at 15 months old. According to the dictionary, Samuel's works were: Three sonatas for the pianoforte, with an accompaniment for the violin; Six songs, dedicated to Miss Amelia Templer; Five songs and a glee, the words written by A G C Tucker Esq. ; Six anthems in score; A second set of anthems in score; a third set of six anthems and twelve psalm tunes. He also wrote an anthem for the coronation of George IV, sung in Ashburton Church on coronation day. A Dictionary of Musicians from the Earliest Ages to the Present Time, Sainsbury and Co., Vol 1, 2nd ed., 1827. J P Davis was born in Ashburton circa 1800. * He spent two years studying in Rome from 1824, and in 1825 received an award of £50 from the British Institution. One of his paintings, 'The Talbot Family Receiving the Benediction of the Pope', earned him the nickname of Pope Davis. Other works included: Canova Crowned by the Genius of Sculpture; Trasteverina Pandora; and an Infant Bacchus. A work famous at the time, The Maniac, which was the inspiration for a poem of the same name by Miss L.E. Landon, he later destroyed. In 1858 he wrote a piece entitled:The Royal Academy and the National Gallery: What is the state of these institutions? He died about 1862. *Various sources say John Philip Davis - eg Christie's, which sold a self-portrait in 2011. It gave a birth year of 1784. So far I have not found a baptism in Ashburton or a death record in England. 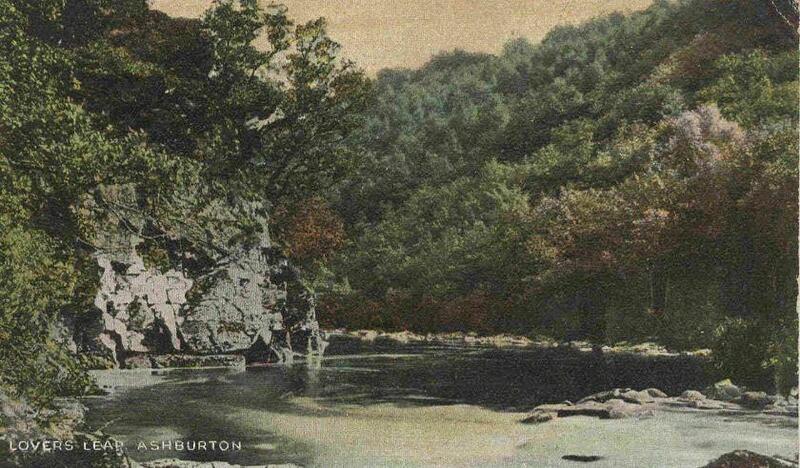 Peter Foot and his wife Mary had various children baptised in Ashburton between 1817 and 1830. They include John Peter Foot baptised in May 1817, Edward Edwin Foote baptised 30th January 1828 and Frederick, baptised 24th June 1830. In 1846 Peter, a boot-maker and musician, was appointed clerk to the parish church. In December of that year a Peter Foot was choirmaster at the church. In 1837 Peter Foot is deputy registrar. Frederick Foot sketched the old market hall just before its demolition. See Markets and Fairs, under Gathering Together. Right: A 'Likeness Master Jack Anstey' drawn by Frederick Foot, Ashburton, October 1852. He is wearing a dress because until about 1920 this was usual for boys until they were 'breeched', sometime between 4 and 8 years old. They would then wear breeches or trousers. I cannot find a connection between Jack Anstey and Ashburton. In 1853 bookseller Mr. S. Mann published some steel engravings. One of them, showing Dart Bridge, was by the 'youthful' artist Mr. F. Foot. The 1861 census for Ashburton shows the Foot family living in East Street. 71 year old Peter, parish clerk, is 'head of household', and he is living with his son John P Foot and John's wife (appropriately, John is a boot and shoemaker). Also in the household is another son, 30 year old, Frederick, who is described as an artist (landscape painter). Frederick's brother, John Peter Foot, died on April 30th 1901, at The Library, East Street, Ashburton. He was 85. 'A noted campanologist', he had rung the bells at Queen Victoria's accession and her funeral, and at the induction of five vicars of Ashburton. Edwin Edward Foot, Frederick's older brother, was born on January 5th 1828. The date and time - half past eight on a Saturday morning - were recorded in a bible which was given as evidence of his age in 1858 when he joined the Civil Service. Before this change of career he had been a master painter - the 1851 census shows him living in East Street with his wife Elizabeth and six month old son, Edward. By 1861 they are living in Queen Street, Mile End Old Town, London, and Edward's occupation is messenger, customs*. *Findmypast has this transcribed as 'manager'. 'Mr Edward Edwin Foot... was born at Ashburton, Devonshire... where his father, the late Mr Peter Foot, carried on the business of a boot and shoe maker, hatter etc., and enjoyed a considerable reputation as a musical composer, vocalist, and instrumentalist. There were five sons and a daughter, all of whom, with the exception of the youngest brother, Frederick, a well-known landscape painter, inherited their father's musical gift - more especially Edward...who at the age of twelve had attained some notoriety as a classical flautist, being a private pupil of the late Henry Caunter esq., of the same town, who was also a very clever portrait painter. The boy however, seems to have had but a very indifferent amount of school education at the Free School, simply acquiring reading, writing and arithmetic;...possessing rather an inventive genius, he, in the year 1854, designed and submitted to the War Office the drawing of a breech-loading man-of-war's gun, which received the careful attention by the authorities...but without success. Later on, during the Crimean campaign, he submitted to the Inspector-General of Fortifications plans and specifications of a military hut of his invention, executing the drawings to scale himself, for which he was awarded the sum of £50. Again, in 1865, he forwarded to the Postmaster-General his design of a postal exchange stamp, which although unsuccessful, no doubt had something to do with the origin of the present postal order. Catherine W Reilly describes Edward as 'an inventive man'. But what he is chiefly remembered for, and the reason for his inclusion in her book, was his poetry. In 1867 Edward published The Original Poems of Edward Edwin Foot, of Her Majesty's Customs, London. There are 3 footnotes on the first page of the preface, one of them stating that he is native of Ashburton, Devonshire. Copious footnotes are a characteristic of all Edward's poems; The Stuffed Owl (see below) credits him with naming the footnote. The website Futility Closet describes him as a 'poet with the mind of an attorney'. His poems turn up in one or two anthologies, such as The Stuffed Owl, by D B Wyndham Lewis and Charles Lee, published 1930. The subtitle of The Stuffed Owl is 'An Anthology of Bad Verse', but Edward is in good company - poems by Wordworth, Tennyson, Keats and Byron also appear in the book. All telling mournfully the solemn truth. Enough, enough: turn to a calmer day. The gentle Albert* stay'd and view'd. (For never did he more pass by that way). By 1891 Edward and Elizabeth were back in Ashburton, living in North Street. In the census he describes himself as a retired civil servant. He died, aged 70, in 1898. William Mann and his wife Mary are living in Heavyhead Lane at the time of the 1841 census. William is a basketmaker. *The only Baptist Chapel I know of was in Heavyhead Lane (now Woodland Road). By 1851 William is in East Street (next door to the Foot family), a basketmaker but also an 'almsperson'. It is noted on the census that he is blind. Sydney Endacott's birth was registered in the Newton Abbot registration district in the September quarter of 1873. In 1881 John Endacott, a 41 year old joiner, is living in Lawrence Lane with his wife Mary and six sons. The eldest son, John, also a joiner, is 16. The three younger sons, including Sidney, were all born in Ashburton. Sidney attended Ashburton Grammar School. At the prize giving day in 1885 the Blundell's scholarship of £6 for the first year and £8 for the second was awarded to Sydney Endacott. John and Mary are still living in Lawrence Lane with four sons in 1891. 50 year old John is a joiner and carpenter, and Mary, also 50, is a refreshment house keeper. The two eldest sons remaining in the household are also carpenters - Sidney, aged 17, is one of them. John's obituary in 1924 says that he left five sons, three of whom were in America. Sidney had died by this time. *His elder brothers William and Frank. Many thanks to Helen Bristol for this information. 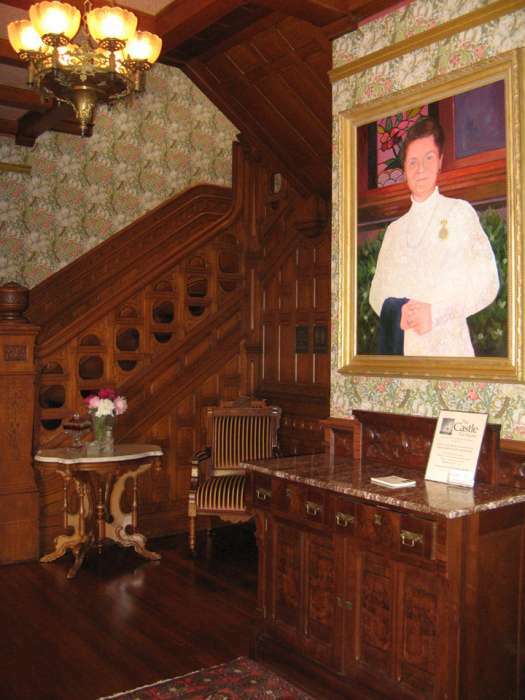 Above and below: The Castle, now The Castle Tea Room, 1307 Massachusetts Street, Lawrence, Kansas, USA. 1896 saw the refurbishment of the Wesleyan Chapel in Ashburton. 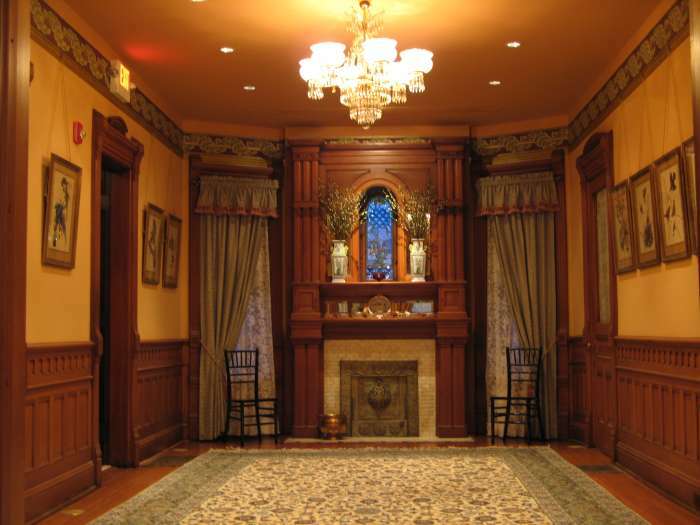 Mr. Lear was the builder, working from plans prepared by Mr. S. Endacott. It seems likely that this was Sidney. He had certainly returned to England by 1901, and was boarding in Exeter. On the census he describes himself as a sculptor, wood and stone. 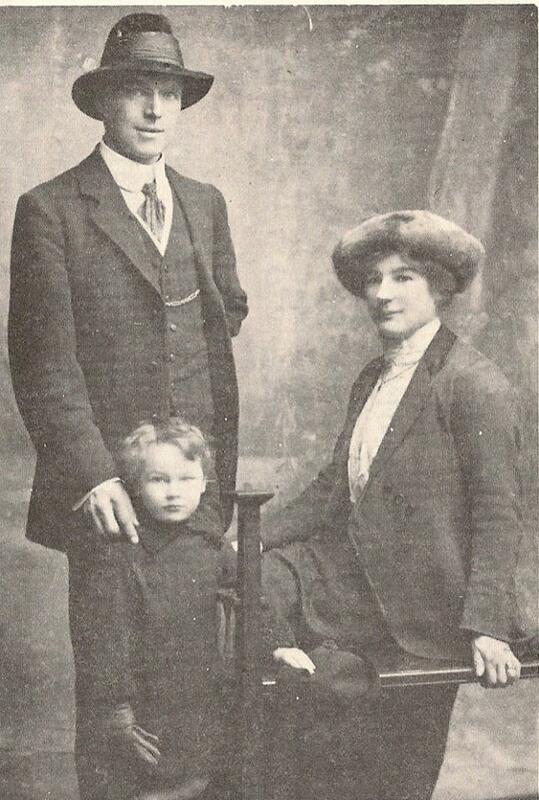 Two years later he married Bertha Lily Haydon in the December quarter of 1903 in the Exeter registration district, and their son, Sidney Bernard (known as Bernard) was born in 1910. 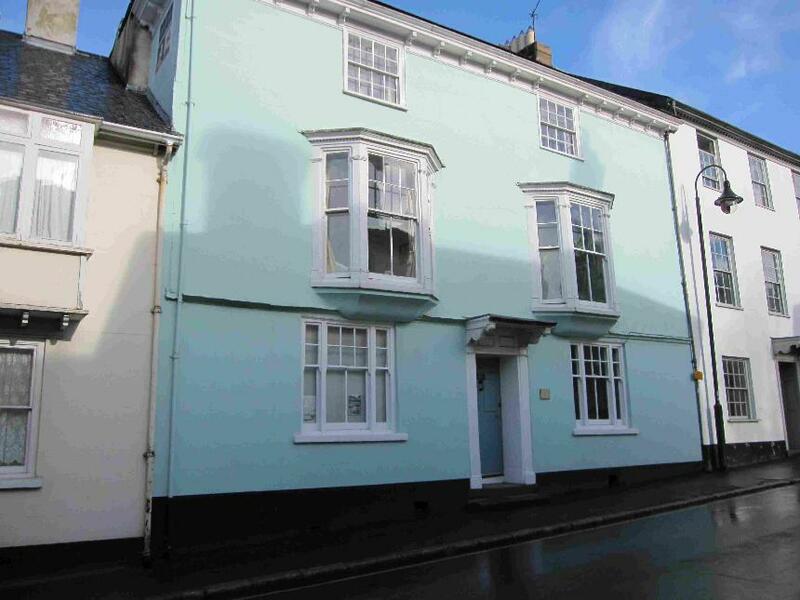 In 1911 the family are living at 19, Danes Road, Exeter, and Sidney is a painter and artist. He says his son is a 'few months' old. In 1912 Worth's Gallery, in the Cathedral Close, Exeter, was holding its usual spring exhibition. Mainly showing scenes from the south west, S. Endacott was one of the principal exhibitors, and he had produced a special series of 18 views of Clovelly in Devon. The titles included Temple Bar, The Red Lion, The New Inn, Fish Street, Look-out Cottage, and Clovelly from the Hobby Drive. 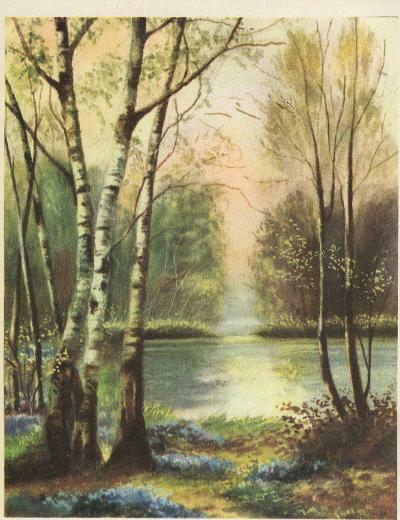 A number of the paintings, which were to be reprinted as postcards, had already been sold. 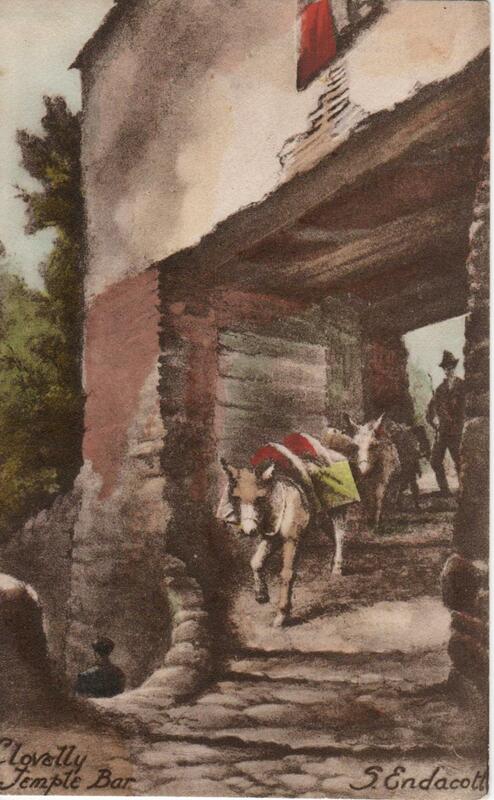 Above: Temple Bar, Clovelly, a postcard from an original painting by Sidney Endacott. Above: Sidney, Bertha and Bernard. Sidney was not physically strong, and suffered from osteomyelitis after sustaining injuries in a childhood accident. To 'do his bit' during WW1 he illustrated manuals for army lorries, showing how the parts could be taken apart and fitted together. Many thanks to descendant Julia Ballard for this information. Sidney died on November 3rd 1918, at Dane's Road, Exeter, leaving a wife and son. Described as a well-known artist, he had been a wood-carver earlier in his life, but for the last ten years had concentrated on watercolours. He had painted 'hundreds' of Devon landscapes, and his work had been a 'prominent feature' of Worth's Gallery. Two of his brothers were engineers at Thorneycroft's, and his parents were now living in West Street, Ashburton. The artistic talent carried on through the generations. A conveyancing document held by the Devon Heritage Centre names Sidney Bernard Endacott, stained glass artist. He repaired some of the stained glass in Exeter Cathedral after WW2. Many thanks to descendant Julia Ballard for the information about Exeter Cathedral. Richard Hext's birth was probably registered in the December quarter of 1895, in the Newton Abbot registration district; he was baptised on January 12th, 1896, the son of George Hext, a labourer, and Ellen. In 1901 he is living with his parents at Great Bridge, and his father is a handyman on a farm. In 1904 the Western Times reported that a boy in the Council School wrote with his toes, 'his hands being quite useless to him.' Presumably this was Richard. Kelly's Directory shows that by 1914 children in the Newton Abbot district under the care of the Guardians were in what was called Scattered Accommodation: foster mother Mrs. L. Foote was in charge of the boys' accommodation called Greenaway Homes in Highweek Road, but the Central Home, Brook Hill, in Highweek Street was still a home for both boys and girls. 'My grandfather Charles Joseph Plumb, born in Torquay, was a year younger than Richard but also was in the Workhouse by the time he was only a few years old and this was where his mother died. He like Richard was cared for at Brookhill and at Greenaway by Mrs. Foote. They were presumably there at the same time given their ages. [NB They are both on the 1911 census referenced above]. The other interest is that my grandfather later married Mrs Foote and she is my grandmother. Many thanks to Derek for the information above. In 1919, then aged 23, Richard was an inmate of the Newton Abbot Workhouse. Described as the son of an impoverished working man, neither his legs nor arms functioned at birth, and his body was doubled up. After four years and ten operations in hospitals in London, he now could stand upright, but his arms were still paralysed. Before his operations Mr. Butcher of Ashburton School had taught him to write and perform other tasks with his feet, but this skill was lost afterwards. A nurse then taught him to write with his mouth, and further encouragement from the headmaster of Highweek School* developed his interest in art. The Guardians enabled him to attend the Newton Abbot School of Art, where he had been for the past six years. His work at the time included studies of nature, designs for pottery and illumination. When the Newton Abbot Guardians met in April 1923 they heard that Richard had sent a painting to Queen Alexandra and had received a reply and 5 guineas. Following this news a man in Bristol sent him £5, asking for a sketch in return, and one of the Guardians had commissioned a painting for £2 2s. In 1953 the Queen was given a painting of Dartmoor by Ashburton artist Richard Hext. 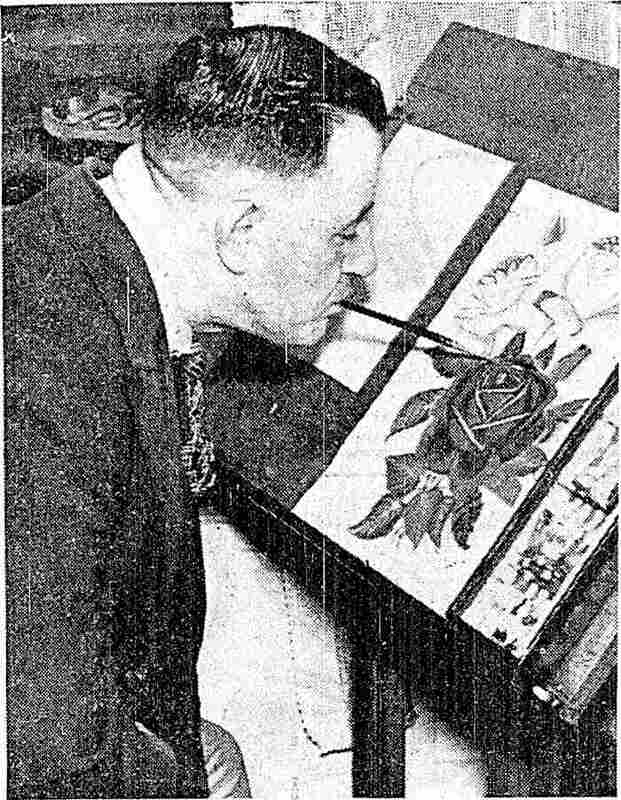 Available through the National Library of New Zealand at http://paperspast.natlib.govt.nz, to whom many thanks for the image. An article in the Mid Devon Advertiser in 1970 (precise date unknown, but in the latter part of the year), detailed some of Richard's achievements. He had won 1st prize for the third year running at the Kenny International Art Show, Minneapolis - a show specifically for mouth and foot artists. He had won 2nd prize at the Torquay Disabled Rally at Torre Abbey on June 21st, and 1st prize at an exhibition in Plymouth. He had flown to exhibitions in Vienna, Switzerland, Spain, France, America and Edinburgh, and had two letters from monarchs: Queen Alexandra and Queen Elizabeth II. At the time of the newspaper item Richard was living at 11, Ashburn Close. Many thanks to Wendy Major for the article above. 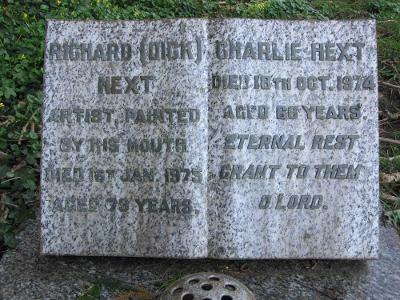 Richard died on January 1st 1975, and there is a memorial to both him and his brother Charlie in St Andrew's Churchyard. Right: Memorial to Richard and Charlie. For more on Charlie Hext, see the Virtual Museum 1950s section. George Palmer Churcher was briefly a resident on Ashburton at the turn of the 20th century. In the period 1899-1900 G P Churcher is a subscriber to the United Devon Association, where he describes himself as an artist, living at Highgrove, Ashburton. Born in Hampshire circa 1833, at the time of the previous census (1891) Geo. Palmer Churcher and his wife Katherine were living in Fyfield, Berkshire. George said he was an artist and teacher of drawing and painting. 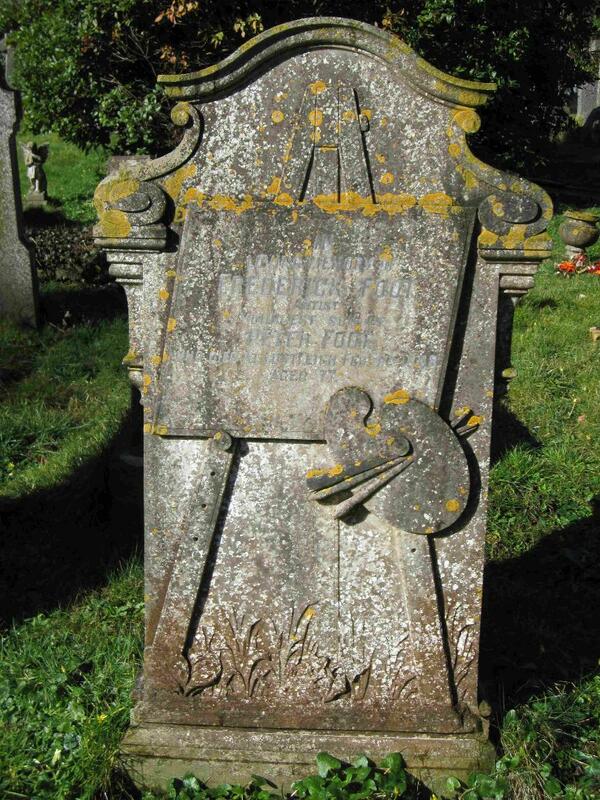 Katherine Churcher, of Highgrove, was buried at Ashburton in August 1900, aged 63. George died in the Wandsworth Registration District in 1906, aged 72.